Join us at the Joe for a chance to learn a simple healthy recipe in an interactive session with a local culinary expert. 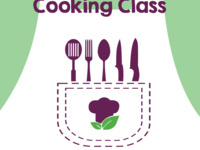 Create one meal during the class, and take home recipe cards with other easy meal ideas. Sessions will be available for sign up on a first-come first-serve basis.